Many friends of mine have asked me if I know of any money saving Russian recipes. I thought for a second, and said “Yes, of course”. Russian cuisine is all about hearty, meat and potato type of meals, usually can feed an army, and are great to entertain with (family style). 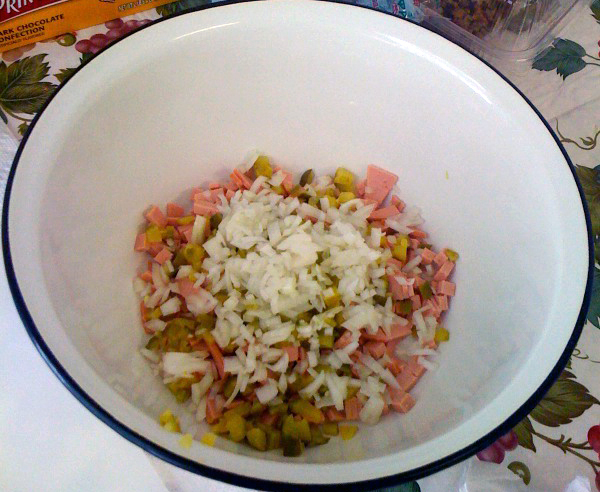 Today I am making a Russian salad called “Oliv’e” or “Oliver” as some call it. It’s under 10 ingredients, chop and drop type of recipe. 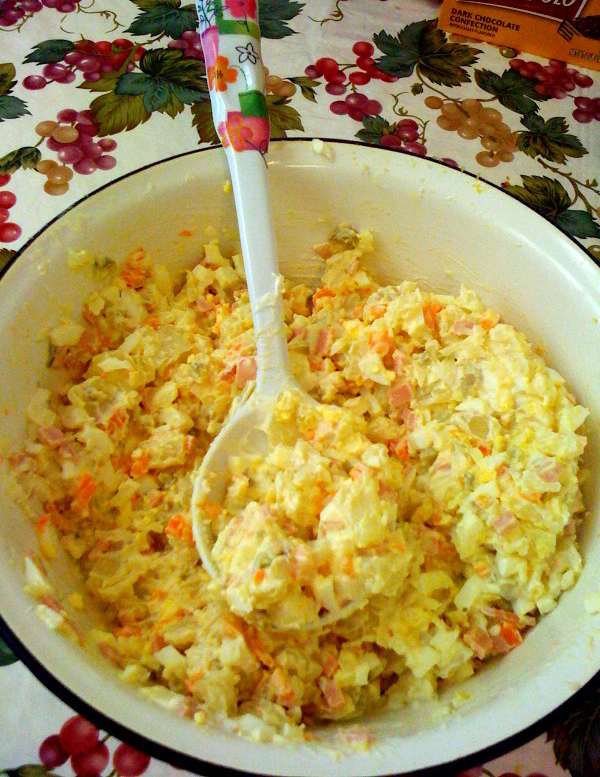 A big bowl of this salad will last you for DAYS! 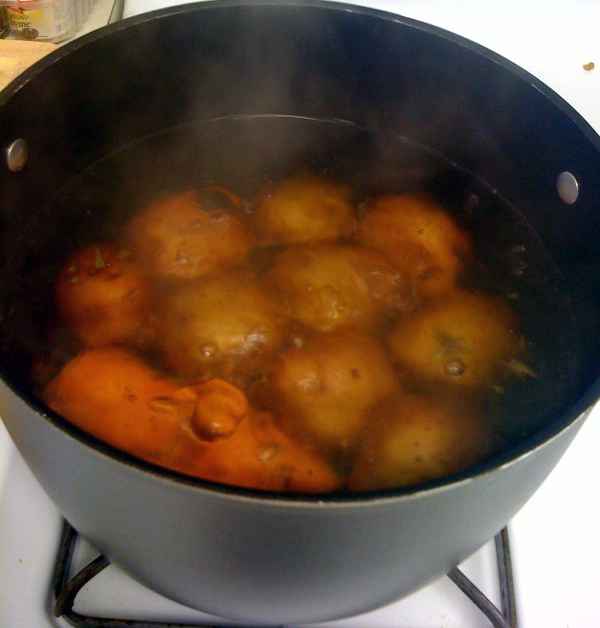 First, put potatoes and carrots in a large pot, bring to a boil and cook until fork tender. 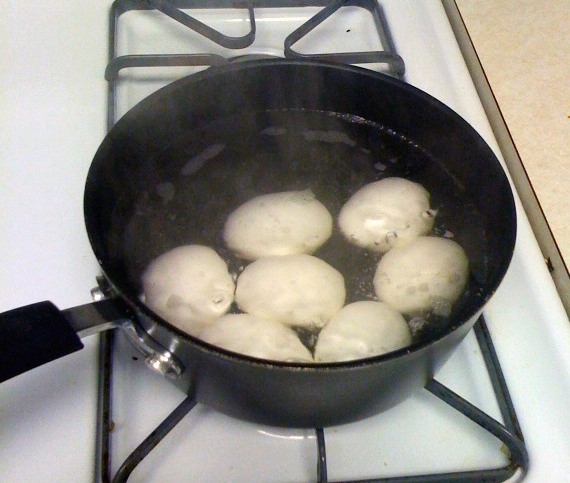 In a smaller pot, hard boil the eggs. Meanwhile, chop bologna, onion, and pickles and add to large bowl. Drain peas and add half of the can to the bowl. 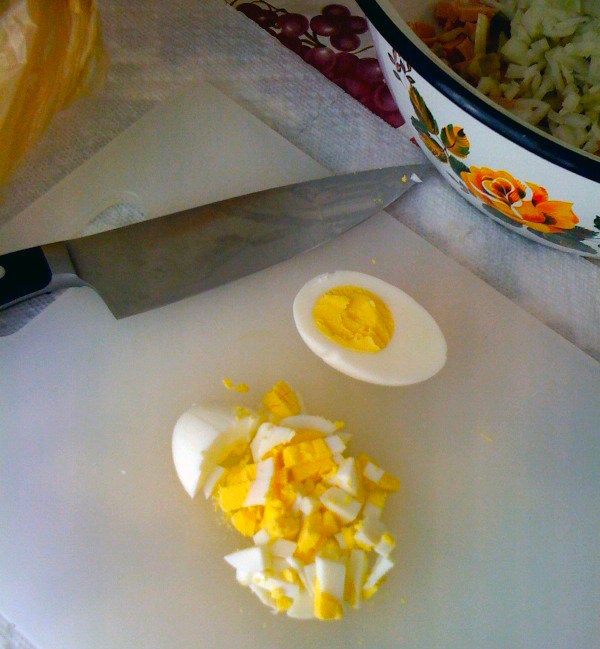 Once the eggs are ready, chop them into small pieces and add to the bowl. 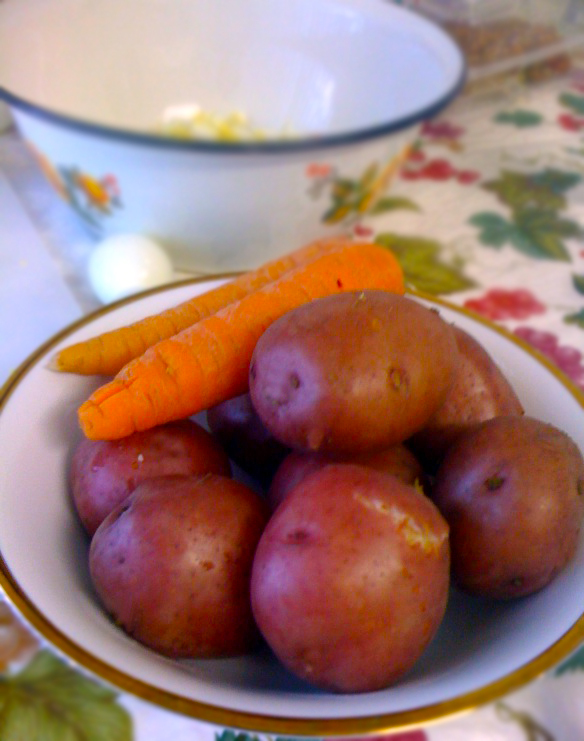 Once the potatoes and carrots are fork tender, drain and let cool. Once the vegetables are cool to the touch, peel and chop and add to the bowl that has the rest of the ingredients you already added. Serve with white bread (Italian or French).